London’s heatwave has helped encourage even more people to explore the Capital on two wheels, the latest Santander Cycle figures suggest. Published by Transport for London, the figures show 1.18m bicycles were hired through the scheme during June – just 7,000 short of the record for any given month since the scheme began in 2010. In May, 1.1m bicycles were hired – meaning both May and June eclipsed the previous records for those particular months. TfL says the scheme has been able to meet the additional demand by providing extra bikes at parks during weekends and at peak commuter times. Records were also broken on TfL’s Cycle Superhighways on Blackfriars Bridge (CS3) and Victoria Embankment (CS6) in June, where cycle counters were installed in February. Since these counters were launched, more than 1.2m cyclists have used the two routes. The highest number of cyclists was registered on 26 June – with nearly 13,000 bikes passing the counters. 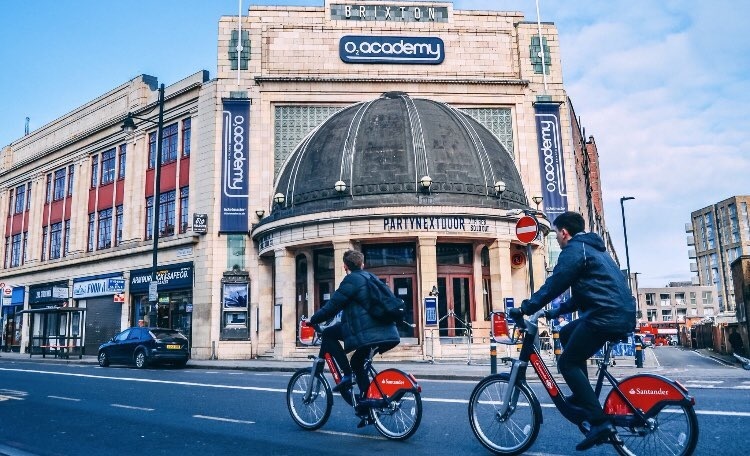 “We’re seeing an unprecedented growth in cycling across the Capital, and Santander Cycles is helping to support this by providing more bikes at the busiest times and locations. “It’s fantastic to see record numbers of people enjoying cycling in this summer weather.